The NRDC gang of aristocrats wants to make a wilderness of the Catskills. Exxon stands in the way so the gang is criminalizing speech to try to shun them away. The NRDC gang, its interconnections and how it operates is a frequent focus of these pages. The Natural Resources Defense Council is the hub of a wheel of organizations run by all the same people. They seek to plow under any development of the Catskills region and return it to wilderness, except for the estates its elites maintain there, of course. 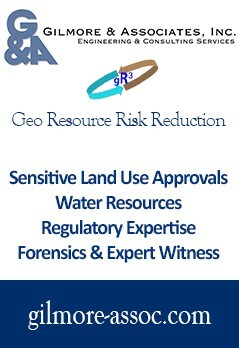 The NRDC gang is also involved in land scams threatened by the higher land prices fracking produced when XTO, now an ExxonMobil subsidiary, leased thousands of acres of land in the Deposit, New York area for over $6,000/acre in some cases (not including royalties), which was several times its real estate value. Shooing Exxon/XTO away from the Catskills is, therefore, critical to the NRDC gang and they are criminalizing speech in an attempt to do it, using their connections with New York Attorney General Schneiderman, among others, to get the job done. Our friend Jim Willis wrote about Schneiderman’s witch trial against ExxonMobil the other day over on his MDN site and here and I added a lengthy editor’s note reminding readers of all Schneiderman’s NRDC gang connections, which are numerous. I also wrote about this back in 2012 over at Energy In Depth, explaining how Schneiderman has done their bidding over and over again, from participating with them in the harassment of Deposit area local officials, to lawsuits, to publishing NRDC material on the AG’s website. 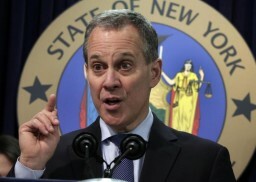 Schneiderman is the government capo for the NRDC gang don and now, like any good member of the family, he’s doing what needs to be done and is going after ExxonMobil, claiming their political speech of years ago was somehow criminal because it doesn’t align with the company line now. Call it a shakedown or call it intimidation; it has the same ultimate goal of creating leverage to get the company to leave the Catskill/Delaware region. We see the same pattern with the Delaware Riverkeeper and others’ harassment of ExxonMobil over the New Jersey refinery case and, of course, the Riverkeeper and its funder, the William Penn Foundation, are closely allied with the Open Space Institute, one of the most important spokes in the NRDC gang wheel. We see the pattern, too, in the RICO lawsuits being promoted all over the place by the likes of Senator Sheldon Whitehouse and a group of double-dipping, high-earning faculty members at George Mason University. But, how did this strategy of criminalizing speech for shakedown and/or intimidation arise? Well, the answer to that takes us straight back to the NRDC gang. It arose from an expensive confab held in 2012 in LaJolla, California, which was organized by the Union of Concerned Scientists. The conference was financed by, among others, the V. Kahn Rasmussen Foundation, which is one of Bill McKibben’s (of 350.org) major funders. Both it and 350.org are closely associated with the Rockefeller family which. of course, is the force and the money behind the NRDC gang (with fractivist Rasputin Jay Halfon orchestrating things for them). A summary report from the session is published here and among the attendees at this elitist pow-wow was a man named Richard Ayers. 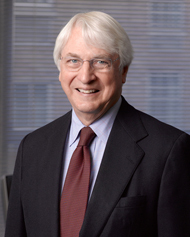 He is a true “super-lawyer,” not the kind who puts out Yellow Book backs telling us they are, and he’s the co-founder and current trustee of the NRDC – a bosom buddy of John Adams, the NRDC gang godfather, the chair of the land-scamming Open Space Institute and the father of the Catskill Mountainkeeper, Ramsay Adams. Ayers was there as one of the seasoned veterans or wise ones from the environmental movement to suggest how the powers to be of that movement might go after the oil and gas industry and produce some “outrage” that might rise the ire of the public and create the will to shut them down. Right there, in that short statement, is the birth of the movement to criminalize the speech of the oil and gas industry, the foundation for Sheldon Whitehouse’s ideas (as if the man ever had any of his own) and the basis of Eric Schneideman’s pursuit of ExxonMobil, on behalf of the NRDC gang (and its allies, of course). The whole thing has been helpfully advanced along the way by Inside Climate News, which, of course, is yet another part of the Rockefeller enterprise and, therefore, closely connected to the NRDC gang. The whole thing is a gigantic game of intimidation to these people; create dread, manufacture images of criminality and conspiracy and mobilize people. And, for what purpose? Well, to create the circumstances that will lead the oil and gas industry to retreat like a cowering dog, leave the Catskills alone and allow strategic parkification – the making of elitist wildernesses everywhere else – to proceed. If Exxon was in the possession of information – based on their own research, no less – that materially and negatively impacted the value of their products and services in the marketplace, then they have a fiduciary responsibility to their stockholders to disclose. This isn’t about free speech and the 1st Amendment, it’s about commercial and interstate fraud. So are there any consequences for fraudulent statements by environmental groups (ie misrepresenting ones expertise, knowledge, facts like groups like sane energy and united for action did when willfully lying to public, federal agencies, city council re: the port ambrose import project just recently nixed by governor cuomo)? Is it ok to make fraudulent statements (not opinions) if you’re an activist? Assuming environmental groups and individuals overstate their case – and they sometimes most certainly do – I am sure you know that two wrongs do not a right make. Catch your breath, please? Life is short: enjoy it. oh- like the immense frauds that HVHF contaminates aquifers, destroys the landscape, ruins property values, won’t create jobs, overloads municipal services and increases taxes, spikes crime, and destroys roads and infrastructure. all lies, and far more egregious than a tenuous connection of the modern lifestyle that affordable dependable energy provides with some common sense awareness that there are tradeoffs to using it. stop using fossil fuels or shut up. No need to get rude and nasty. It’s beneath you. I complain to Tom about the decorum in these parts frequently, to no avail. First off, sentences start with a capital letter. Folks on your side or sooooooooooooooo presumptuous. I am very close to that goal, actually. I get 100% of my electricity from wind power. I bicycle and use mass transit as much as possible. I have two achilles heels: A) those few times when I need an automobile. If I ever move to a smaller city, I will own an electric vehicle; and B) gas stove: my wife and I have been going at it on this one for years, she swears that cooking on gas is the best. I FINALLY convinced her that world class chefs are switching to induction, they say it gives them even better control than gas. I convinced her last month. It was so much work. WHEW!!! Done! Well the blog post here with the picture speaking volumes is enlightening. NRDC like most always knew that the Port Ambrose project was for import. That catskillmountainkeeper/newyorkers against fracking jessica roff and eric weltman spent years claiming the proposal was secretly for export so they could talk about fracking and they did this even after the fracking decision in newyork bothered NRDC very little apparently. The antifracking movement seems corrupt through and through. dogma- don’t lecture me about civility and punctuation. i choose what i say and how i write very carefully. you clearly fancy yourself an enlightened being, with unassailable truth on your side. the rest of us know how the world really works.